Assassin's Creed: Forsaken is historian Oliver Bowden's latest contribution to the franchise. Anticipation for the latest entrant in the Assassin's Creed franchise is building, and to capitalize on that the developers have announced a new novel that will tell the origin story of Templar-hunting Connor Kenway RatonhnhakÃ©:ton. Assassin's Creed: Forsaken, the latest instalment of this entertainment juggernaut, is due for a December 2012 release. 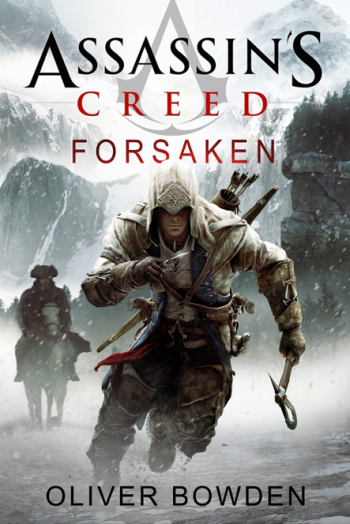 "Set during the American Revolution," said the developers in a press release, "Connor has sworn to secure liberty for his people and his nation ... Assassin's Creed: Forsaken is the story behind who Connor really is and how he has become a deadly killer." The novel will be published on December 4th, at a recommended retail price of $9.99. The book is being written by Oliver Bowden, aka Anton Gill, historian and novelist. This isn't the first time he's written for the series; he's the man behind four other novels, and has been given a remarkable amount of freedom to adapt the narrative as he sees fit. "I was very lucky in that the writers weren't hugely prescriptive when it came to plotting," he said when talking about the process behind Assassin's Creed: The Secret Crusade, and added "[the developers] knew what needed to happen, but how it happened they left up to me." Assassin's Creed 3 is due on October 30th for Xbox and PS3, slightly later than that for PC.